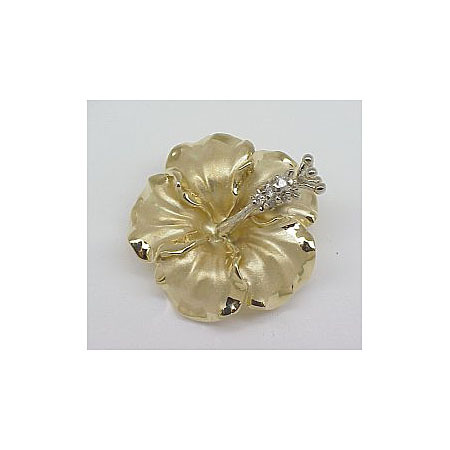 Solid 14k Gold Hibiscus Hawaiian Pendant. Includes slider for chain which is hidden behind flower. Made in Hawaii.